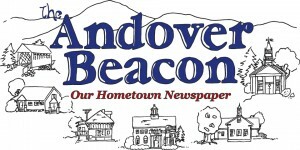 The Town of Andover Rec Committee is excited to yet again offer youth basketball to children in Grades 1-6. This season, we have over 70 children signed up to take part in the program, including 27 first and second graders taking part in clinics each Sunday afternoon. Program directors Scott Allenby, Jen Hauser, and Chris Cloutier are thankful for the volunteers who have stepped in to help coach each team and to all the parents whose positive attitudes on the sidelines have helped keep the kids development as young basketball players at the center of attention. The 3rd/4th Grade and 5th/6th Grade teams compete in the ICB Basketball League based out of Penacook along with all the other feeder elementary schools to Merrimack Valley High School. Games take place on Saturday mornings and run through mid-February. For a complete list of games, visit www.icbbasketball.com.